Did you know that color has the power to influence emotions, affect decisions and change mood? 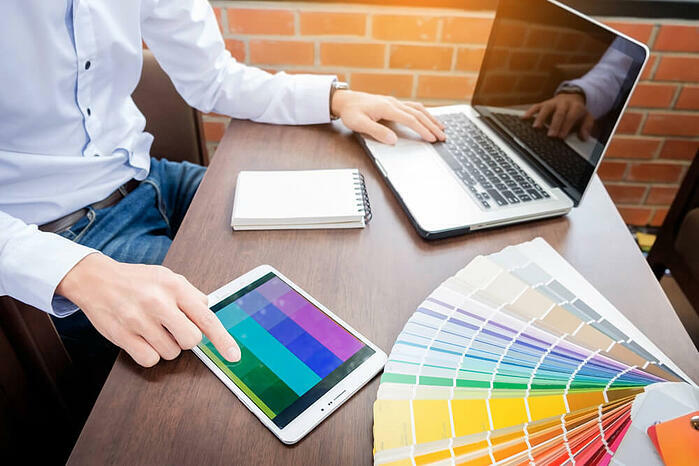 As a part of healthcare web design, colors play a significant role in whether people trust you enough to choose you as a healthcare practitioner. They can also affect how much a patient enjoys his or her experience on your site. When someone visits your healthcare website, the colors you chose can make them feel agitated and anxious or calm and peaceful. Why is it that the case? Color affects the way people think. Warm colors may communicate happiness or boldness--but they can also project aggression. Cool colors, on the other hand, can feel either soothing or sad, depending on the context. So how important is color? One study found that people form an opinion about a product or online experience within 90 seconds. More than 60% of that judgment is based on color. Identify your brand image and goals before you choose colors. Remember, color communicates a message. Think through your primary goals and calls to action that your color scheme will support that message. Know your audience. Color appeals differently to men, women, and children. Study your patient personas and their preferences, and plan your colors accordingly. Study color psychology. People associate red with aggression or danger, yellow with warnings, green with nature, and blue with professionalism and trust. 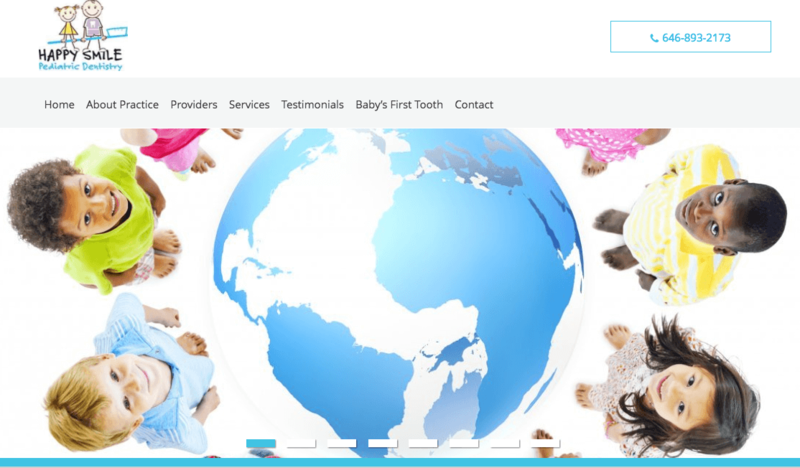 Consider these associations when choosing colors for your medical website. Think outside the box. 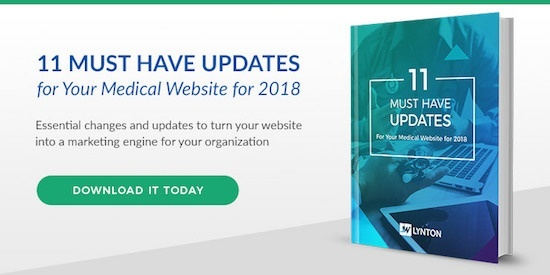 Blue and white are the most common colors for medical websites, but that doesn’t mean you’re stuck in a color trap. If other colors support your brand image, use them! For example, green might be an excellent choice for a holistic doctor, while pink is a good choice for obstetricians. Happy Smile Pediatric Dentistry incorporates blue and white, but gives it a child-friendly feel with splashes of bright colors and turquoise. These eye-catching, happy colors feel friendly and reassuring, which is just the right tone for a children’s dentist. 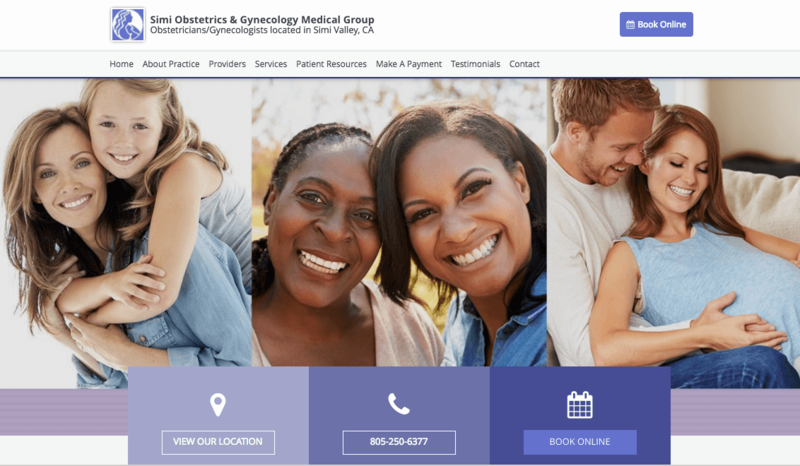 Simi Obstetrics & Gynecology Medical Group uses a soothing white background complemented with purple, which is one of the three top shades preferred by women. This is a perfect choice for a medical practice that serves female patients. 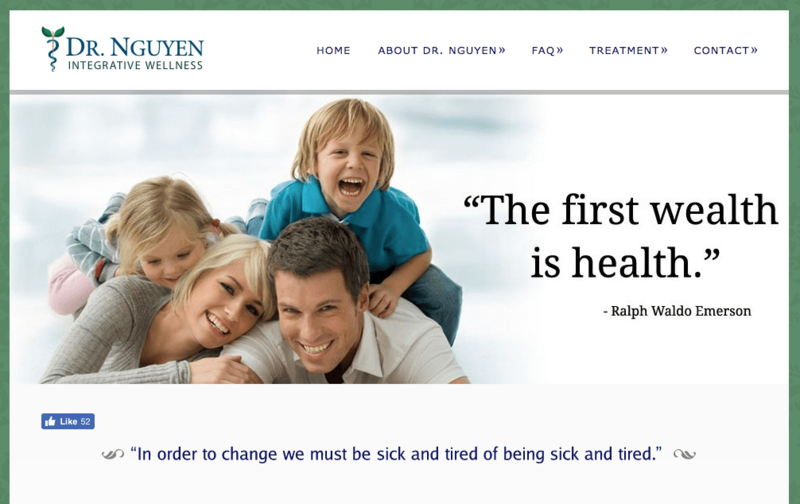 Dr. Nguyen’s Integrative Wellness practice uses cool colors to support her message about holistic health. Soothing greens, blues, and whites create a calming connection with nature, which is a key emphasis in her approach to natural treatment. 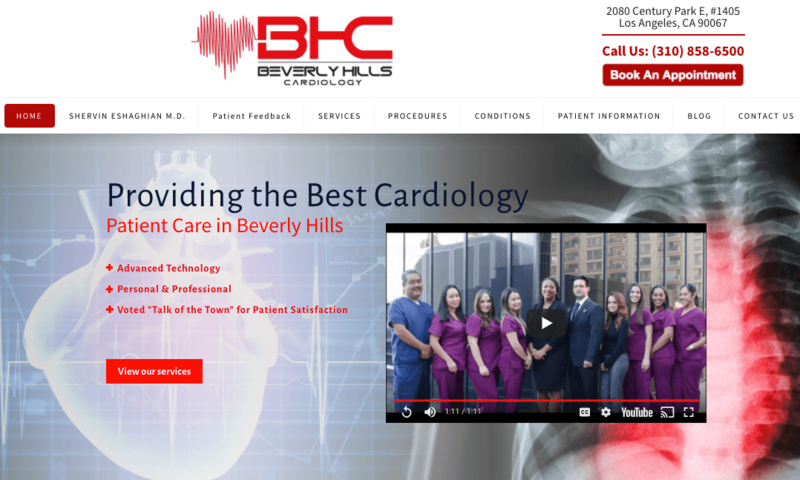 Although red is often considered an aggressive color and therefore not a top choice for a medical website, there are a couple of reasons it works well for Beverly Hills Cardiology. Red is the color we associate with hearts, of course, but it also communicates a sense of urgency that underscores the website’s message that patients should pay attention to serious symptoms like chest pain, palpitations, and high blood pressure. When you use color intentionally, your website feels more welcoming to your visitors, and that’s a key component of patient engagement. Don’t be afraid of color; it’s one of the best tools you have at your disposal to draw new patients in and help them feel confident about your practice. Need help creating a design and color scheme that communicates your brand image? Call our healthcare marketing experts and set up a free consultation to talk through your options!